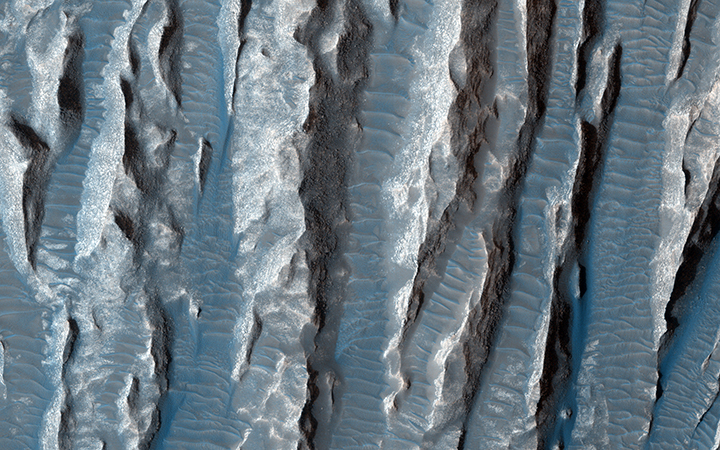 This view of Martian surface features shaped by effects of winds was captured by the HiRISE camera on NASA’s Mars Reconnaissance Orbiter on Jan. 4, 2015. Image Credit: NASA/JPL-Caltech/Univ. of Arizona. This entry was posted in Mission News and tagged Mars, Mars Reconnaissance Orbiter, mission, MRO, NASA, orbiter, spacecraft on 2015-02-13 by Heather Dalton.